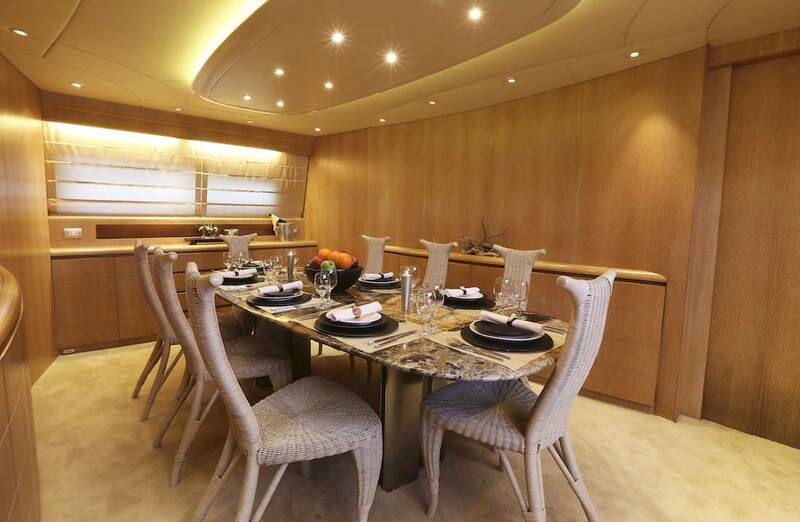 Luxury motor yacht IF is a 103 foot motor charter yacht launched in 1999 and refitted in 2015. 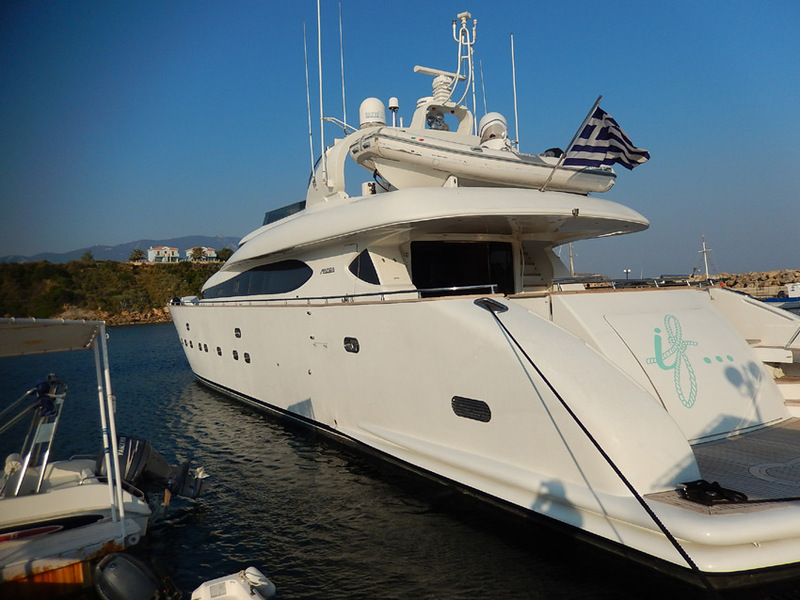 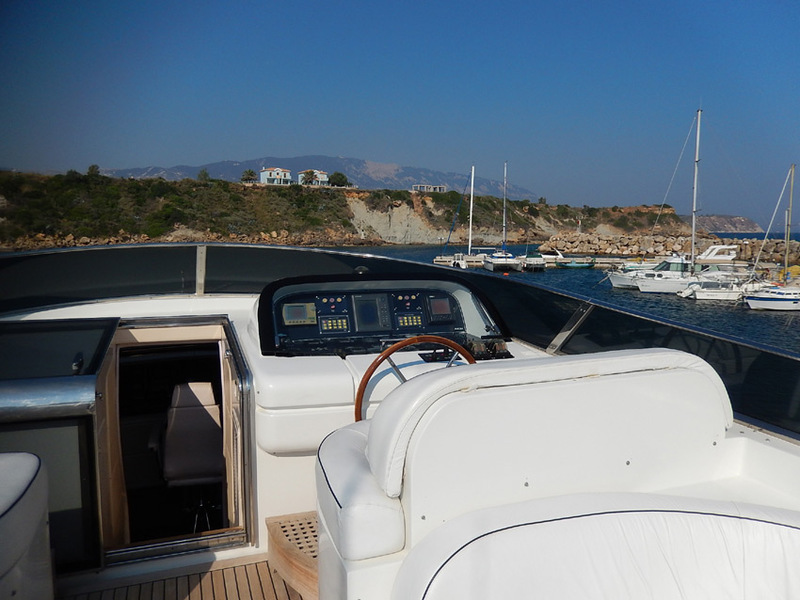 She offers speed, comfort and style on your Greece Island yacht charter vacation and comes five friendly professional Greek crew, with excellent local cruising knowledge. 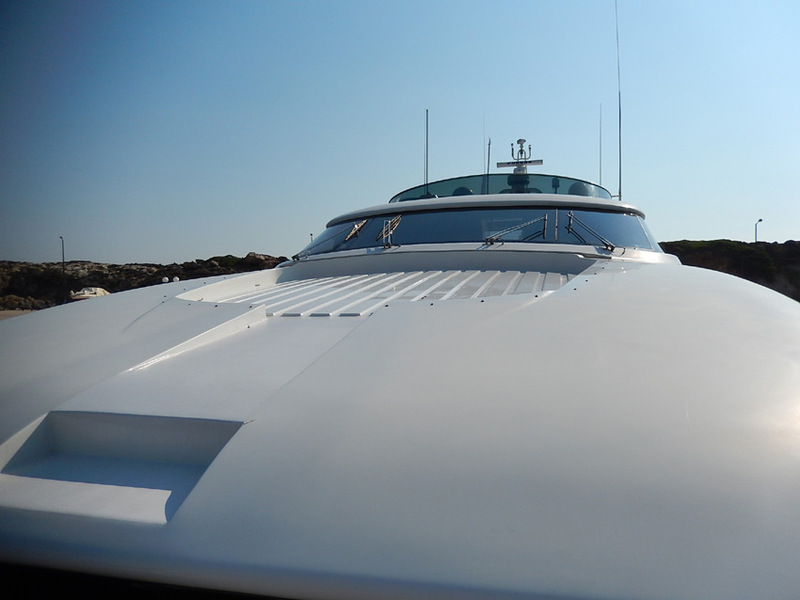 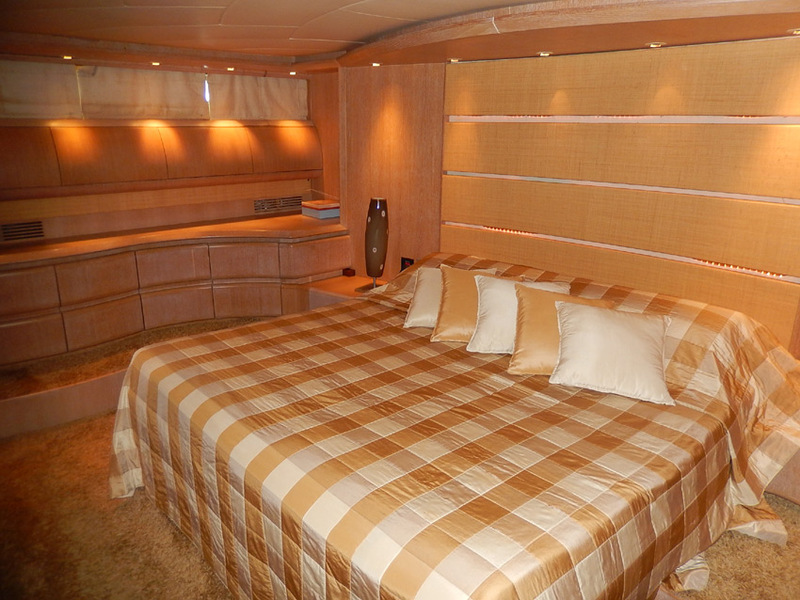 She accommodates up to 10 charter guests in 4 cabins and offers plenty of room on deck for sunbathing. 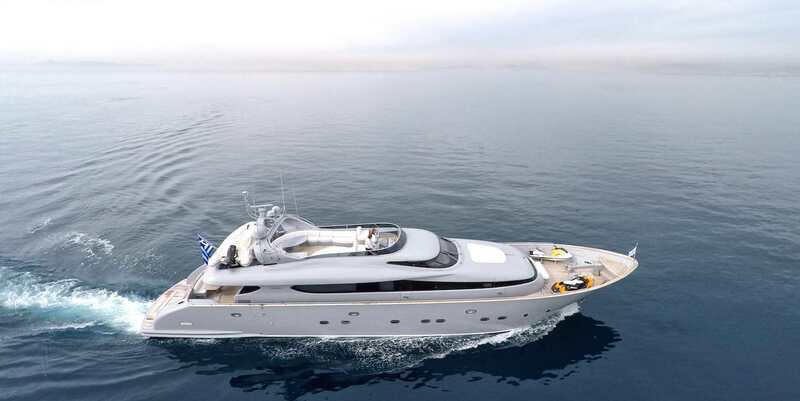 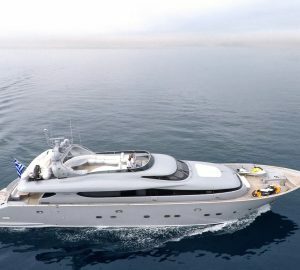 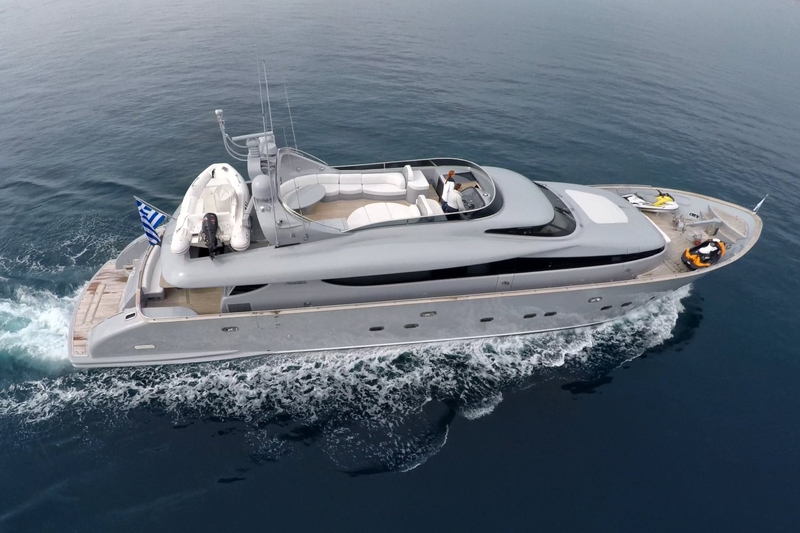 Motor yacht IF is a powerful, Italian designed superyacht measuring 31.4m (103ft). 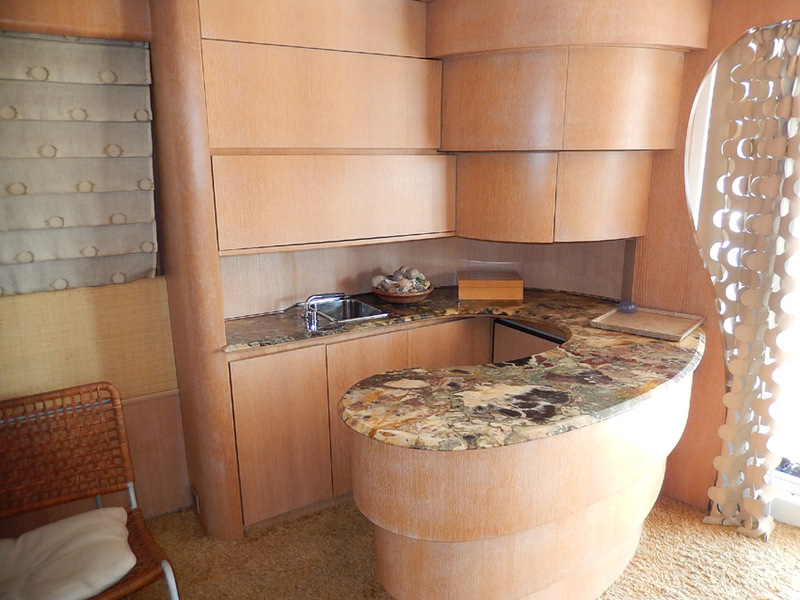 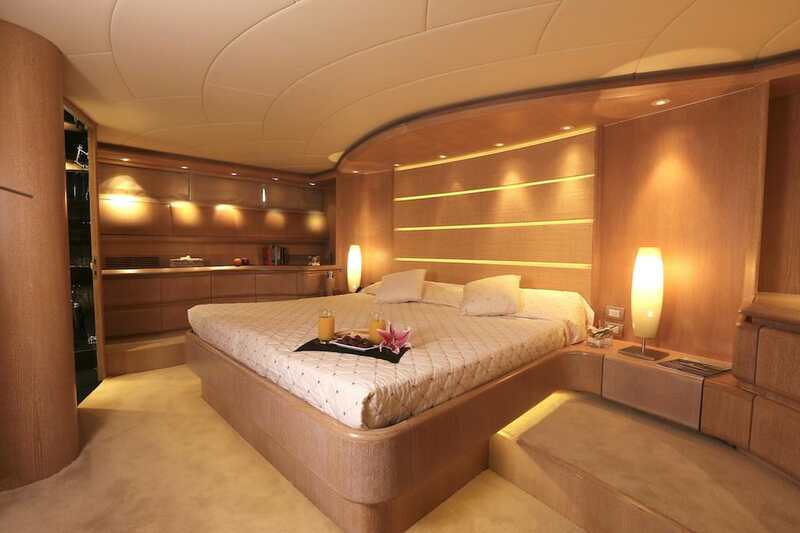 Charter yacht IF features an elegant interior décor. 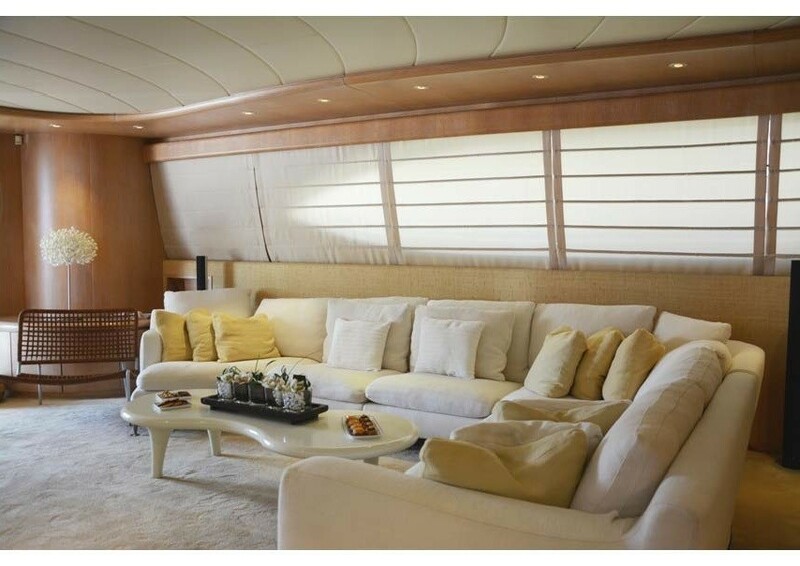 The salon is spacious boasting a large plush cream sofa, coffee table, full entertainment system and complete wet bar. 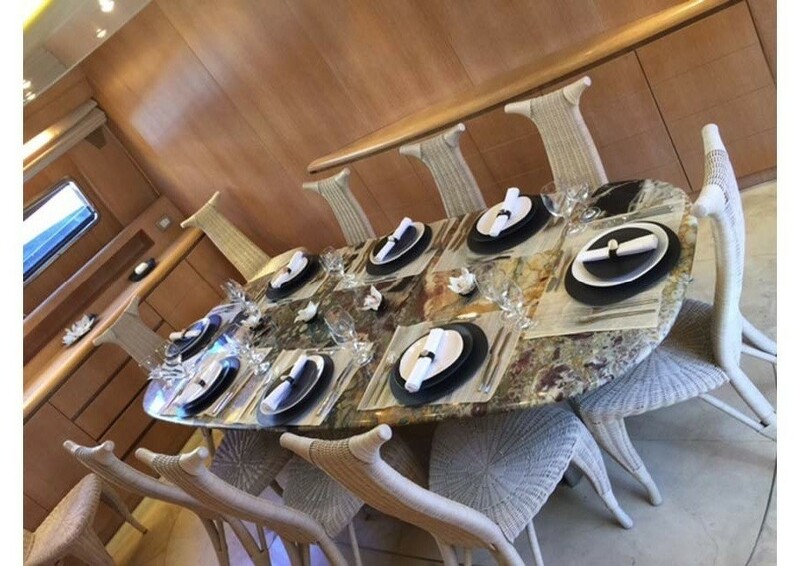 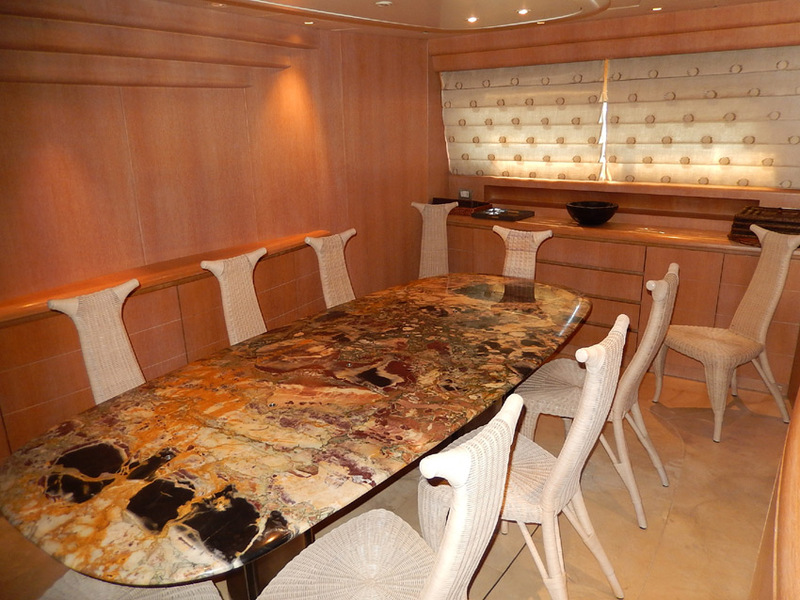 Forward of the salon, the formal dining space is separate, creating an intimate atmosphere. 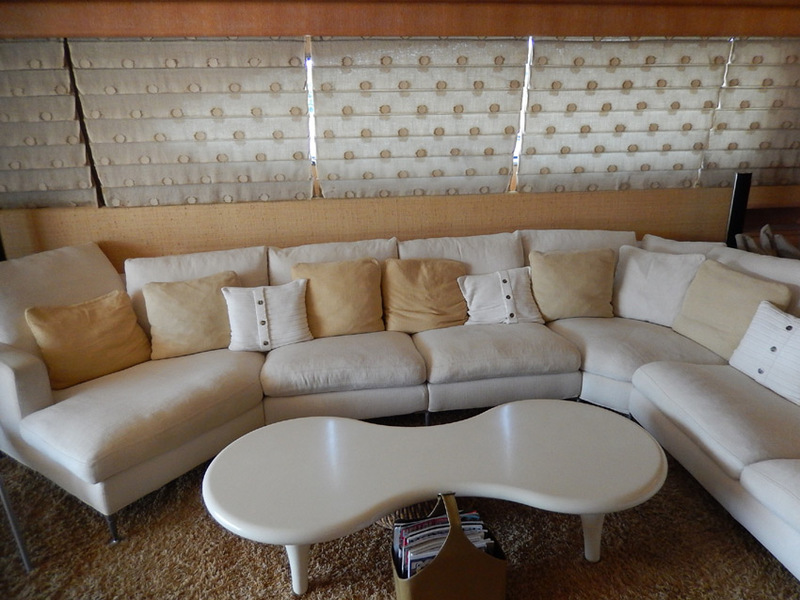 Panoramic windows allow ample natural light, while stylish roman shades provide optimum privacy. 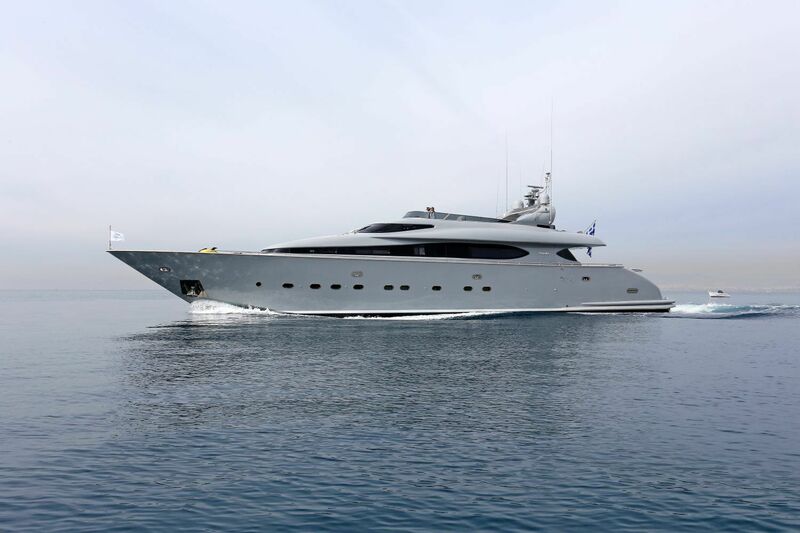 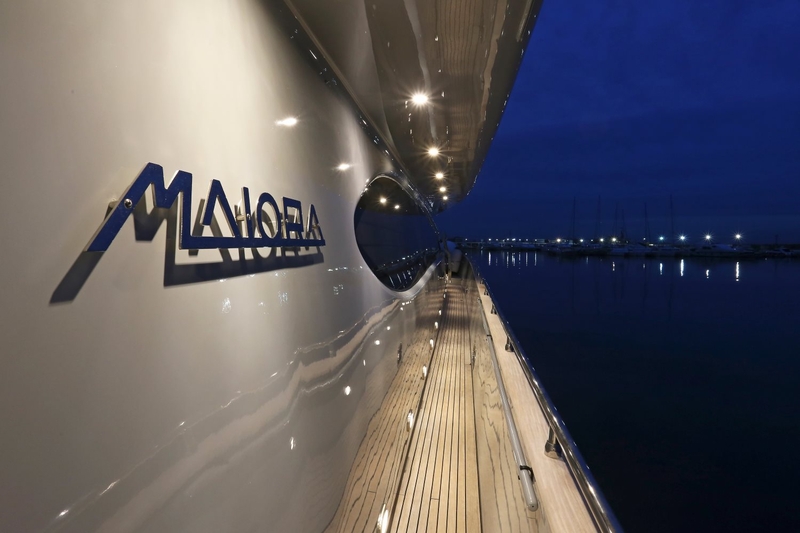 M/Y IF boasts plenty of exterior areas to enjoy the warm Eastern Mediterranean climates. 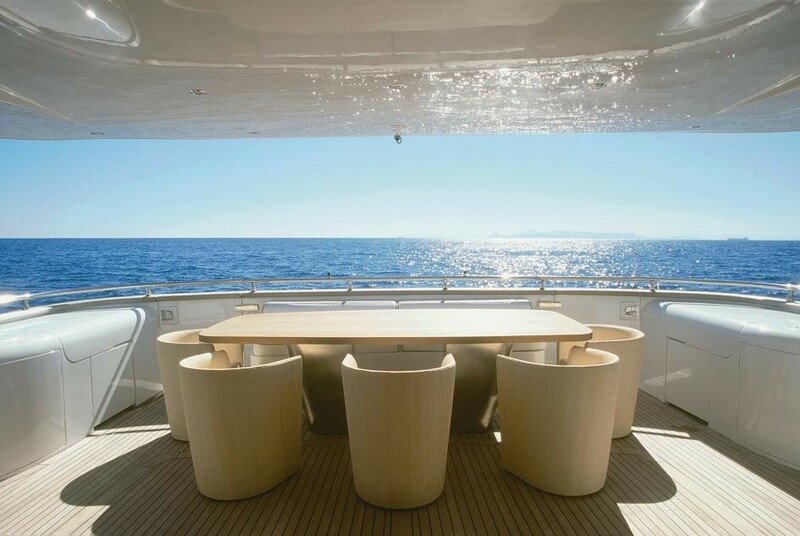 The aft deck is partially shaded offering an alfresco dining option and direct access to the salon, ideal for both casual and formal venues. 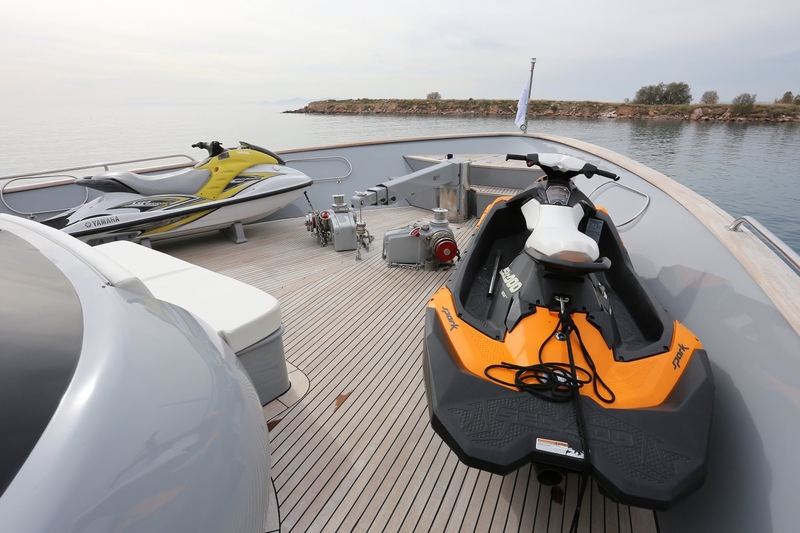 An extended swim platform is perfect for the more active in the group, to enjoy the many water toys on offer, including 2 Jet skis. 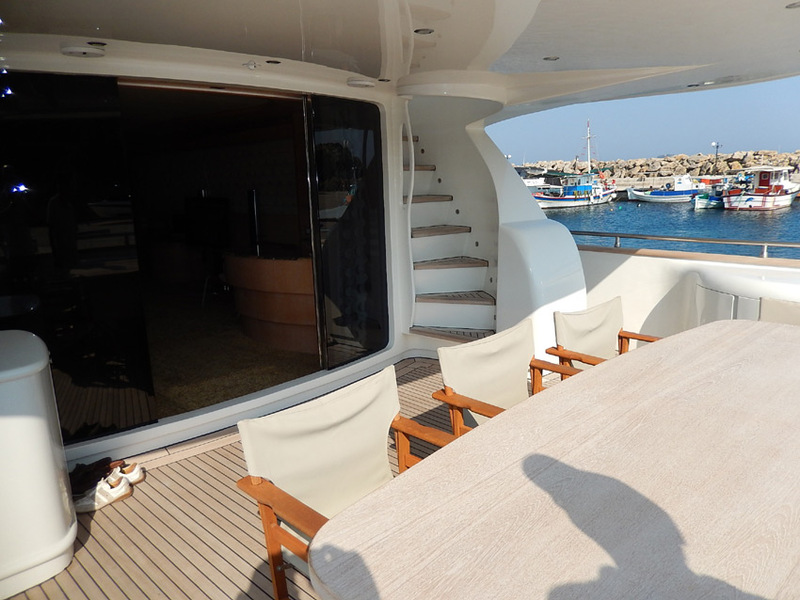 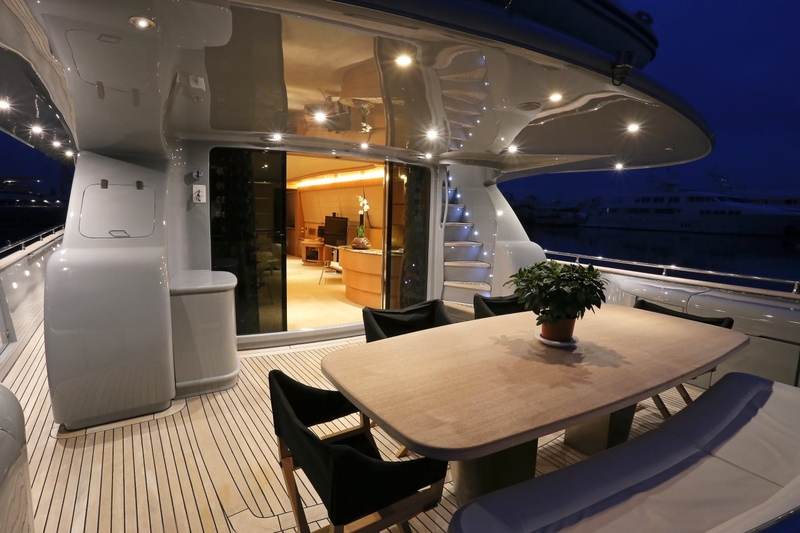 On the main deck, there is 360° access around the yacht, making it effortless to walk forward where guests can relax on the spacious foredeck and comfortable seating. 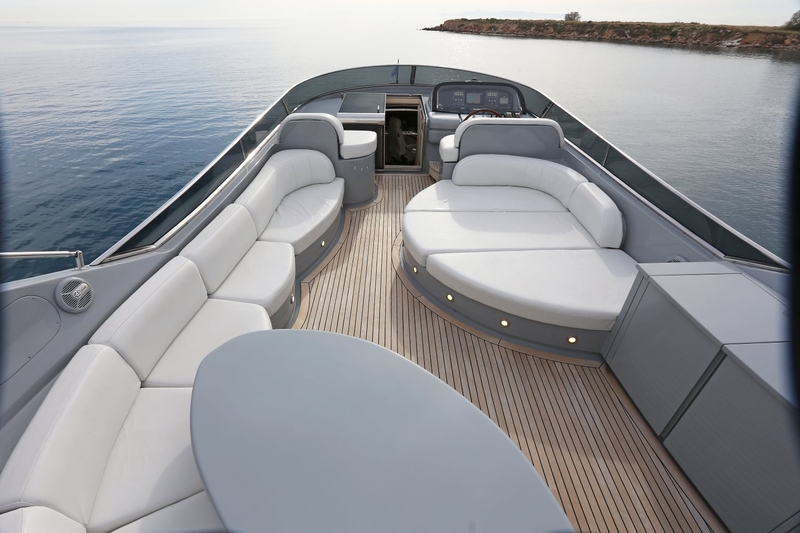 Above the main deck, crewed charter yacht IF boasts a generous flybridge, with a further alfresco dining option, plenty of seating and a large double sunpad. 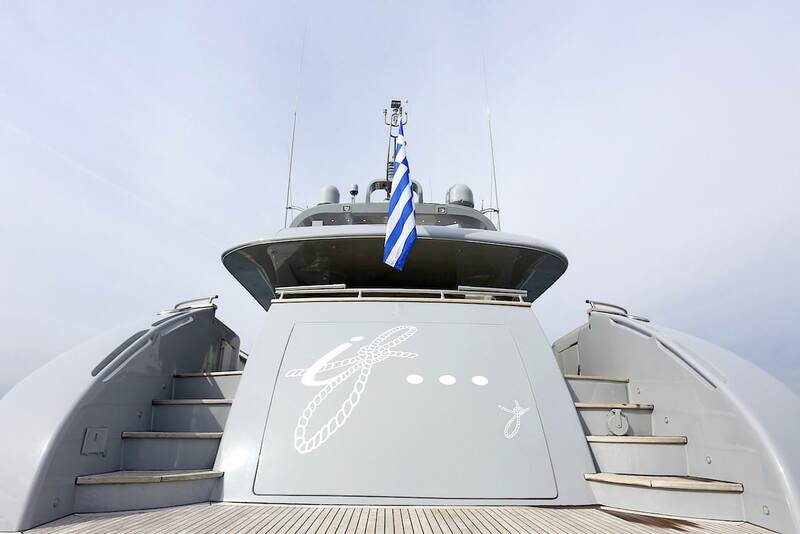 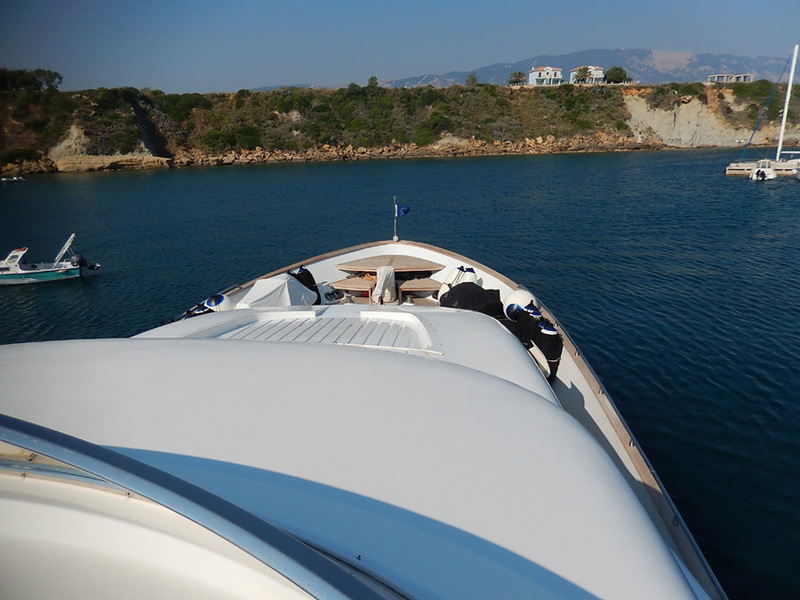 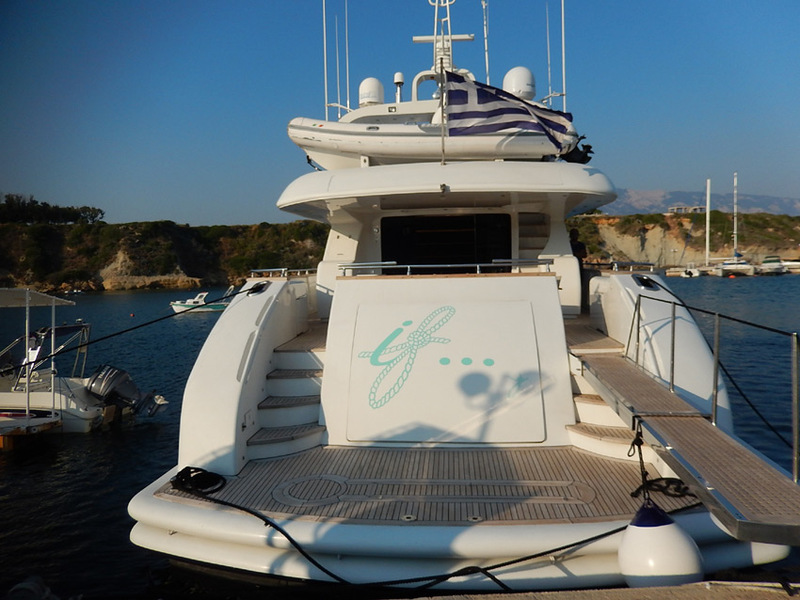 Luxury Greece motor yacht IF accommodates 10 charter guests in two doubles cabins, two twin bedded cabins and two further Pullman bunk berths. 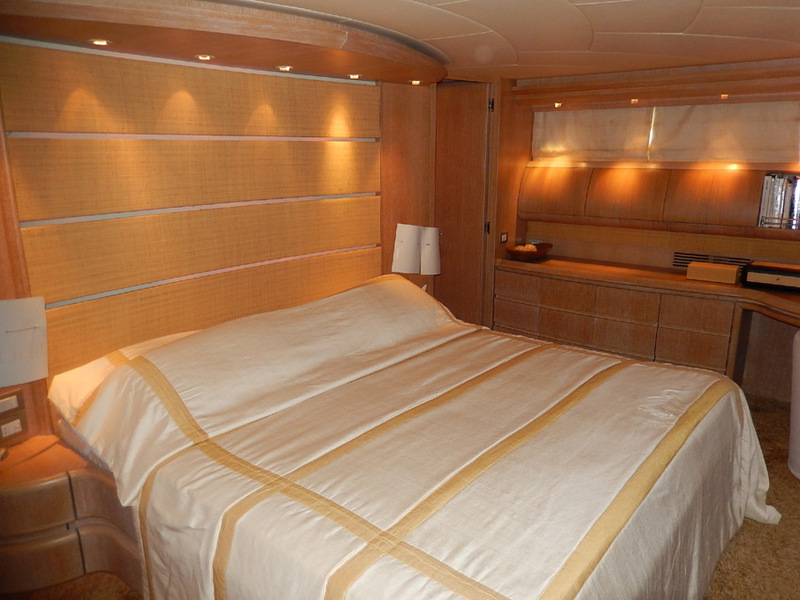 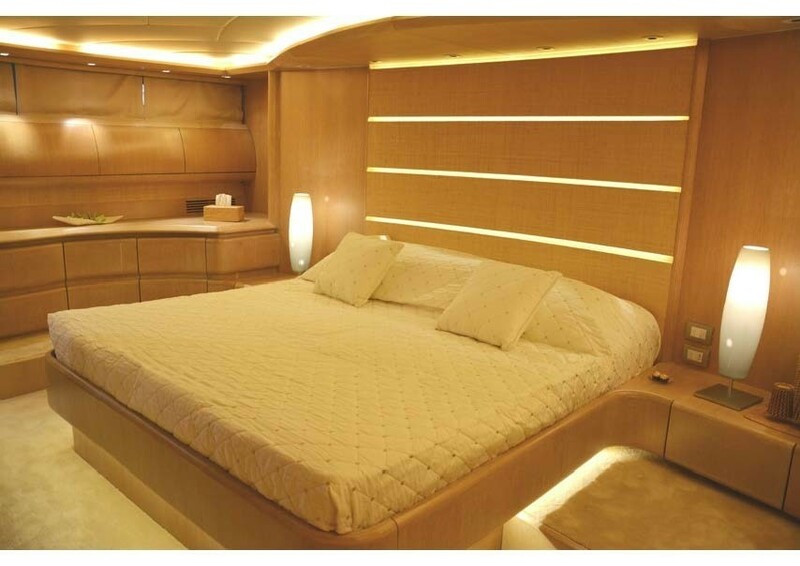 The yacht provides a main master or owner stateroom as well as VIP stateroom, both of which have TVs. 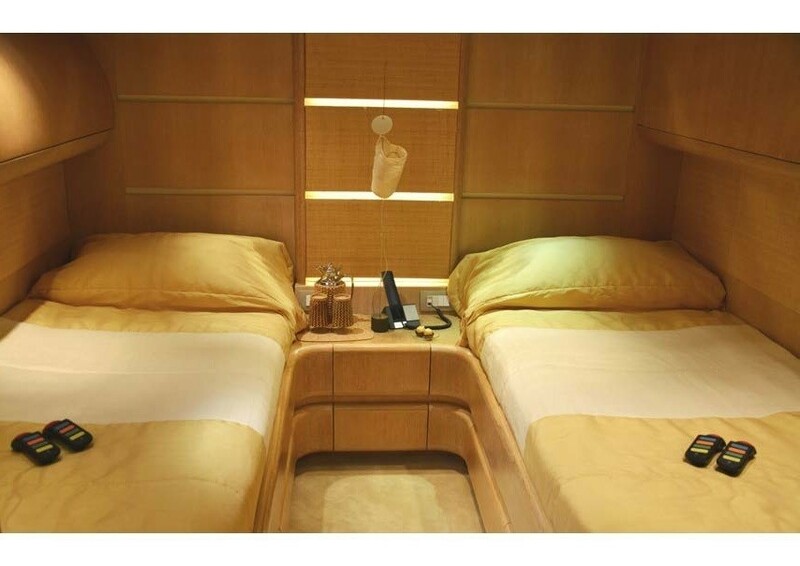 Her two twin cabins each offer an extra Pullman bunk. 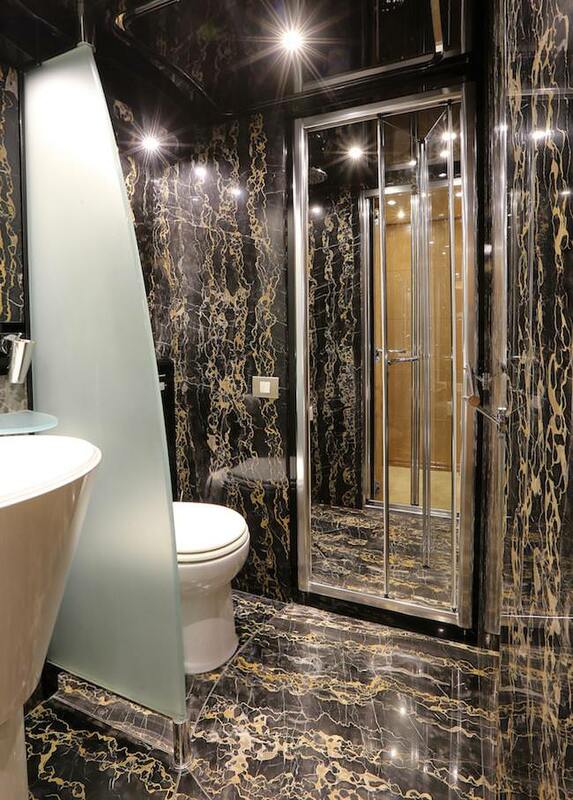 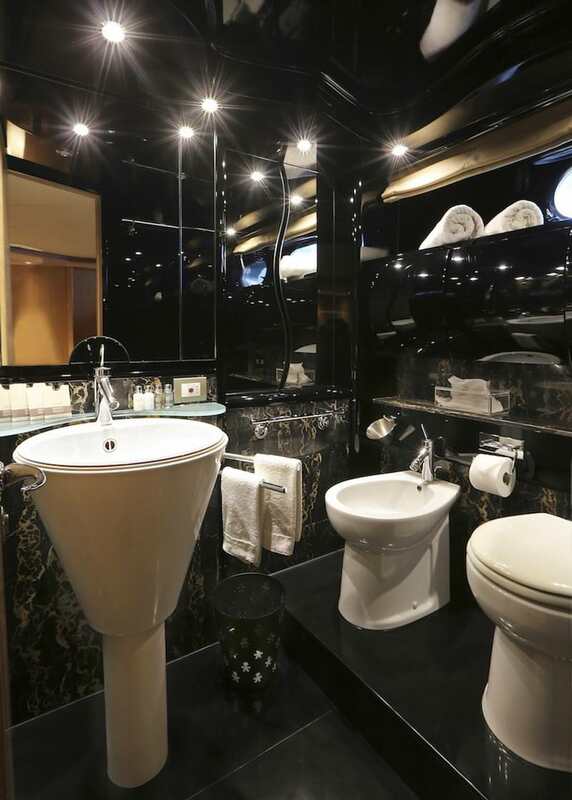 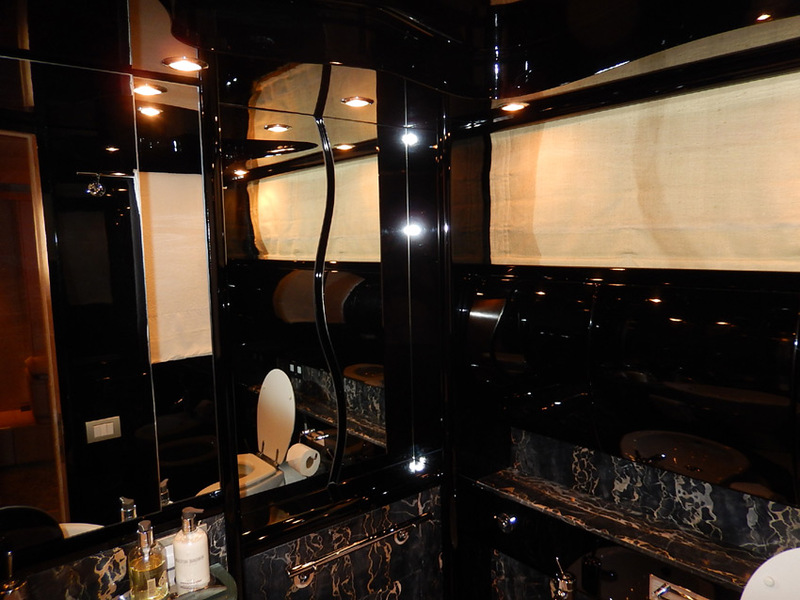 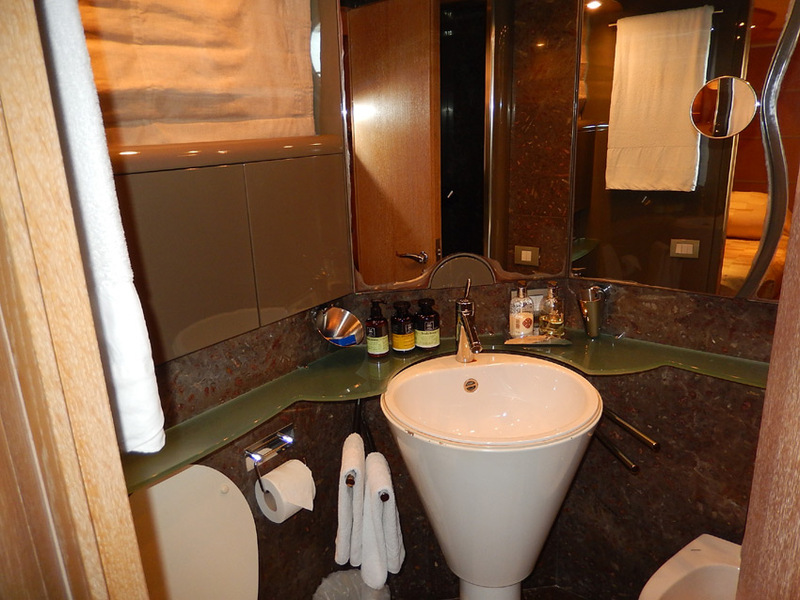 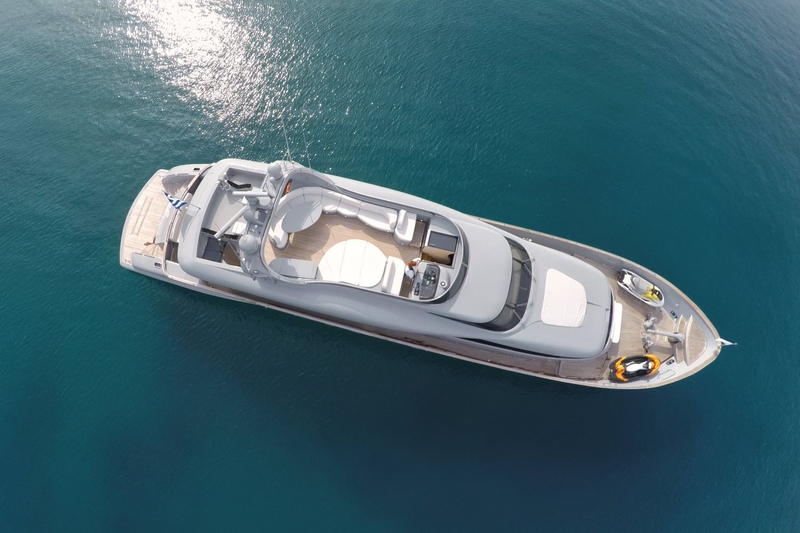 All of motor yacht ‘If’s’ rooms have their own en-suite bathrooms. 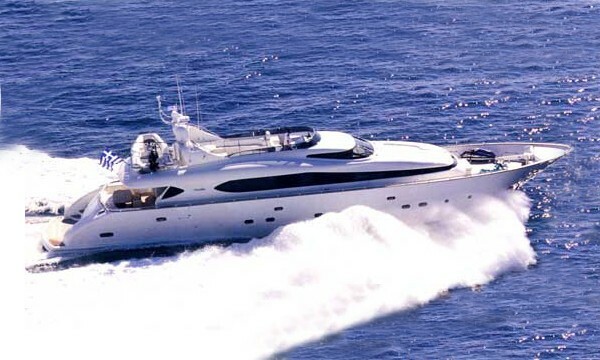 You luxury yacht charter onboard motor yacht IF comes with the following extras and amenities: She has a One tender 5m with 90hp engine, wave-runner, jet ski, water skis, snorkeling equipment. 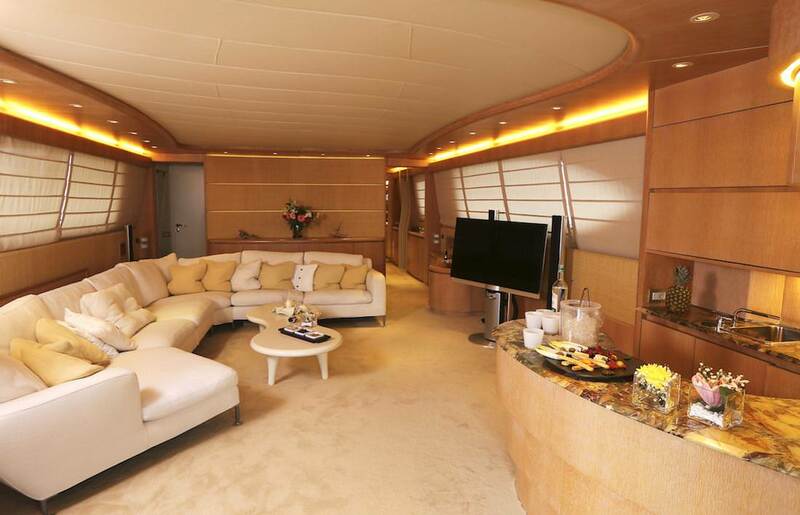 The interior entertainment includes a B+O HiFi system throughout the yacht, a Satelite TV & Video & CD players. 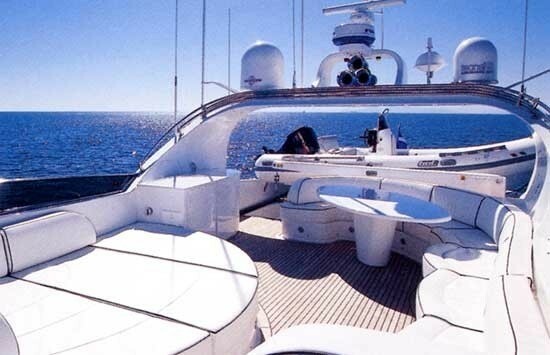 GSM cell phone & fax. 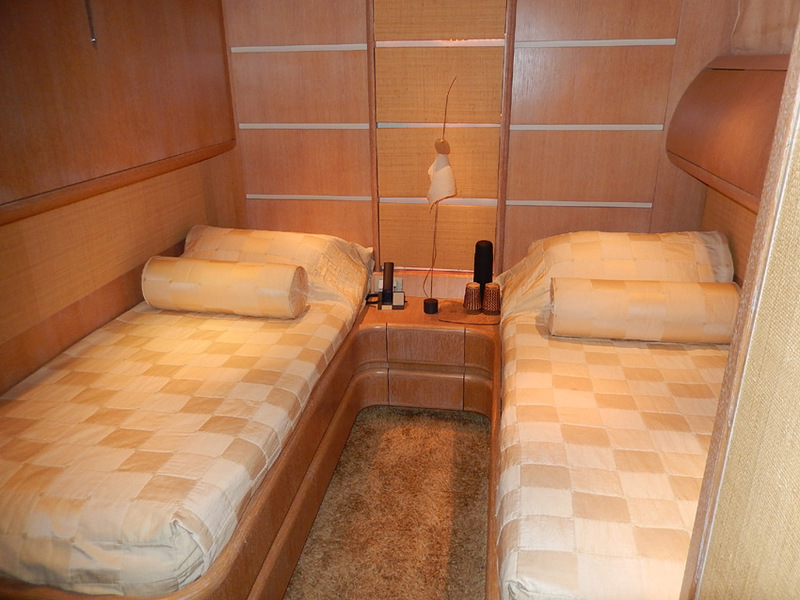 There is Diving by organized rendezvous only.Communications include Mini M Sat, GSM Cellular Telephone/Fax. 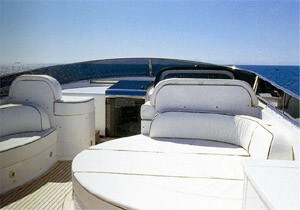 Close circuit TV. 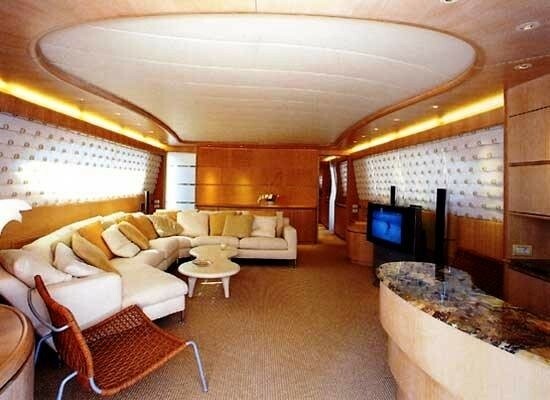 Wi Fi internet connection.